As you may have already heard, Vietnam nowadays is very famous for its beautiful views and also the tailoring. 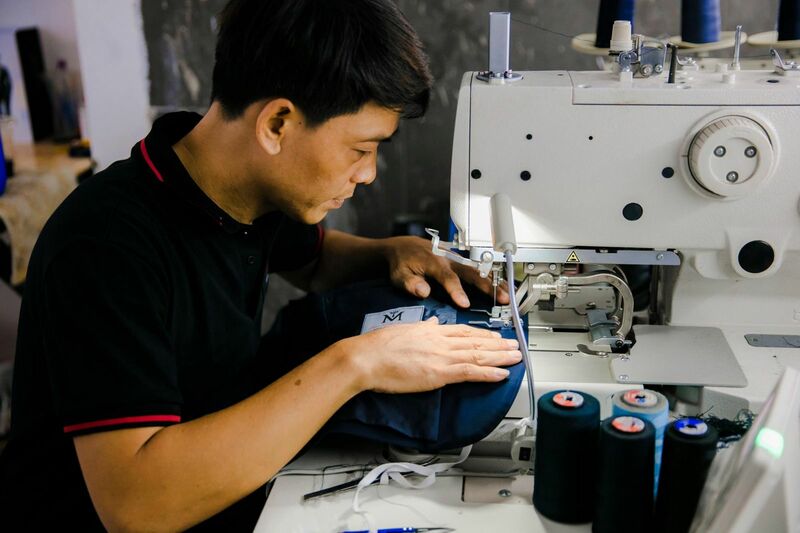 Unlike Hoi An - The capital of tailoring in Southeast East Asia with the number of tailor shops is as twice as other businesses, it's not easy to find a good tailor in Ho Chi Minh City, especially when you're looking for the best tailor one. So what are passengers going to deal with their limited time in this country? If we go back to the past, Ho Chi Minh City used to be a perfect place for people to get your clothes tailored: No limit for options when tailor shops were plentiful with top quality and reasonable prices. So how about the moment? We have to face with the fact that the tailoring scene of Ho Chi Minh has dramatically changed in the last 20 years: Tailor shops have been replaced with high buildings; you can be easily overcharged if get in a random suit shop and the worst is most of the suit shops don't actually do the tailoring. "Don't actually do the tailoring". Really? Yes, in fact, these places are just showrooms to display samples of suits, bolts of fabrics and where they can deal with customers. After you have made your own decision, they outsource the sewing to workshops or even worse, they purchase a ready to wear suit at the market and then ask for adjustments. 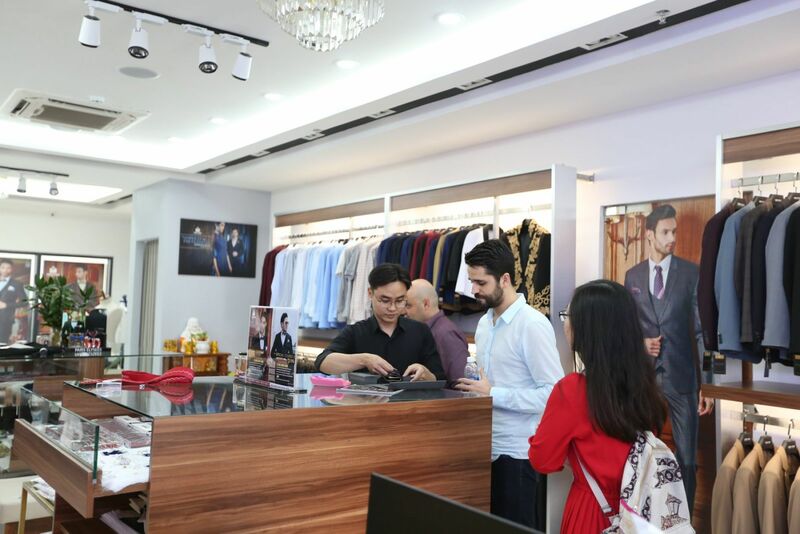 In the end, if you are really looking for the best tailor about to meet all your expectations - something can be called high-quality tailor-made clothes, even they are suits or shirts, There are few tips that may increase your shopping experience not just only in Ho Chi Minh City but also Southeast East Asia. There is a good shopping habit that you need to learn: "Never stop at the first shop you walk into just because they are good at convincing people". 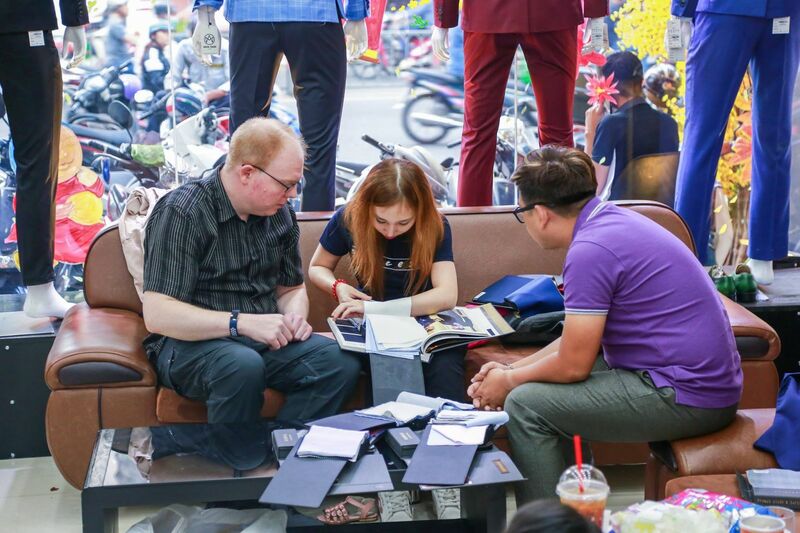 With this in mind, you can always walk around until you find out the best tailor among all the tailors in Ho Chi Minh City. And if you have local friends, just ask for their help. Local friends are very helpful especially when you're looking for the best tailor. - Is it(the tailor) really popular in the local market? - What are local customers talking about their products(suits) & services? - Do they have foreign customers just like you? And if yes, what are their reviews about that place? 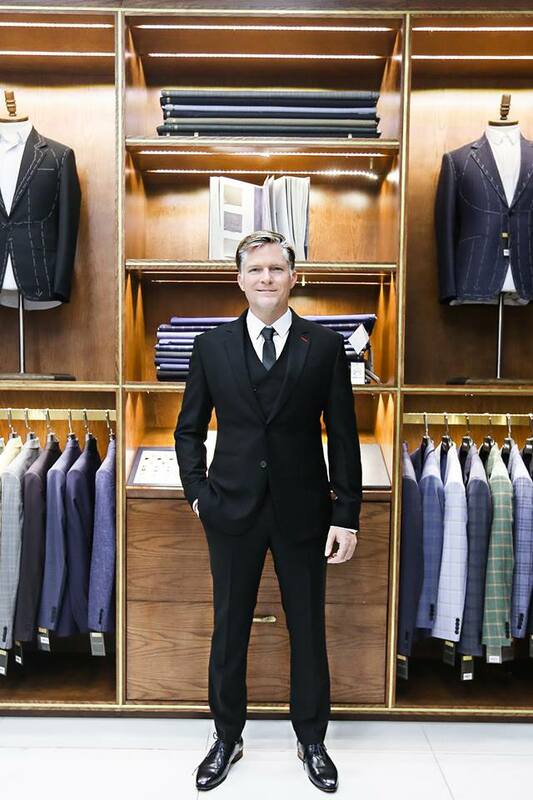 Mon Amie Saigon Pearl - An Ideal place for foreigners to get a custom tailored suit. Armed with few tailors shop are recommended from the Internet, you would be ready for the next step. Good tailors are always the masters of tailoring, even the tiniest detail. So, test their knowledge won't be a problem here. Try to ask if they can do difficult alterations such as shorten a suit jacket, ease armhole or reduce shoulders. These alterations are at the expert level and extremely hard for tailors to take on properly. If a guy can explain how to do it, he must be a good tailor (for sure) that you can put your trust in. "Alterations Knowledge" is always a good test to know whether they are good tailors or not. Tailors have their own specialties but they are not good or special enough to read your mind and understand what you really want from them. Options are endless and if you have clear ideas about your dream suit, spend your time listing it out to the last detail. The more details you can give, the better their job will be. It might seem fussy, good tailors should be proud of their job and they will never mind showing their artworks, whether it is finished good or work in progress(WIP). This part will ensure that clothes are tailored to customer needs, not outsourced. Good tailors will never mind showing their artworks. Even if you never want to pay for the first figure you are given, you must understand there are huge differences between a 100$ suit and a 1000$ suit and in some cases, we believe that better quality/services always come at a price. On top of that, remember that prices in Vietnam are overall much cheaper than your hometown, so don't make it a too tight budget. So, how should we haggle on prices? Accept that good tailoring is worth to pay for more while bad tailoring is entirely a waste of money, but try to bargain for a 10-20% discount off the quoted price is acceptable in most of the top-line tailors and it is going to worth your time. If you are not a good negotiator, try to shop as a group in order to get several items at a reduced price and tailors seem to be happy with that. + Give them a fake deadline. You should always lie about your leaving date because tailor-made clothes are usually not perfect at the first time. Normally, it takes once to twice times for tailors to finish the fittings and it maybe causes of delay somehow. Give them a fake deadline puts yourself on a safe side since if you are pushed for time, the tailors can finish your products within 24 hours and of course, they don't want to lose a customer anyway.